As the main island of the Canaries, Tenerife has attracted millions of tourists each year. As a result, more and more of its sleepy fishing villages are transforming into the hottest vacation centers catering to a growing global community. And with the influx of visitors each year, more and more accommodations have set up location around Tenerife’s favored tourist spots. These vary from five-star hotels at popular beachfronts to cozy concept apartments at remote rural towns. The Southern Coast of Tenerife has gained a reputation for its lush hotels and serviced apartments. 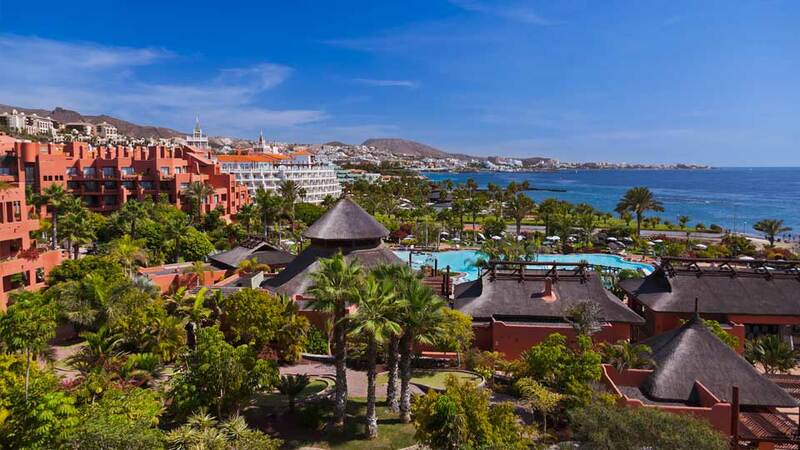 At the seaside towns of Costa Adeje, Los Cristianos and Las Americas, four- and five-star accommodations could be found including the Sheraton, Bahia Principe, Iberostar Anthelia and Costa Adeje Gran Hotel, to name a few. Famous luxury hotels around Tenerife include the Ritz-Carlton, Abama. This hotel is generally considered as the best hotel on the island and features a Ritz Kid’s Club co-designed with oceanographer Jean-Michel Cousteau’s team. Another hotel favored by families is the Roca Nivaria Gran Hotel at Playa Paraiso for its Junior Suites, and kid’s and babies’ clubs, as well as a submarine-themed activity room and a pirate-themed buffet for children. Adult travelers who want to make the most of their stay choose the opulent Gran Melia Palacio de Isora at Playa Jaquita at Alcala. Many guests here upgrade to the “Red Level” which is a boutique hotel within the hotel and is strictly adults-only. The opulent accommodations include access to an adults-only pool, happy hour, priority reservations at the main hotel’s amenities, and sterling service. While not strictly for adults, the Europe Villa Cortes GL exudes an exclusive and romantic vibe. Without any special amenities for children, this hotel offers spacious rooms and convenient access to the beaches, shopping and nightlife along the famed Playa de las Americas. Those looking for the best bang for their buck won’t be disappointed with Tenerife’s numerous cheap accommodations. Of course, location-wise, they may be further away from the island’s hot spots but that could also come as an advantage for those looking to stay away from the crowds. If staying at the Southern Coast of Tenerife is a must, then book a three-star accommodation at Costa Adeje. Playa Olid Apartments, HOVIMA Santa Maria, and Sunset Harbour Club are all great choices. For accommodations in the heart of Tenerife’s party and tourist central, Hotel Apartamentos-Andorra and Apartamentos Oro Blanco at Playa de las Americas are known as superb budget choices. Further north, picturesque hotels offer breathtaking scenery in a quieter setting. At Puerto Santiago, the Hotel Barcelo Santiago is built on a cliff and offers a wonderful location for those who enjoy waking up to the crashing of the ocean waves each morning. At the edge of the Teide National Park, an adults-only hotel, the Hotel Spa Villalba features an apt rustic chic design to complement its rural location and natural surroundings (just bordering a pine forest at the village of Vilaflor).